Running a website is no simple task, and though costs have plummeted over the years, it requires considerable investment in both time and money to make it work. All that effort is going to have to pay off at some stage too – keeping the lights on is job number one, but you’ll also be looking to actively profit from your site down the line. There are many ways to go about monetizing your site, but advertising remains the go-to option for many sites both large and small. If you’ve got the right combination of traffic and audience, it’s the obvious first step to take. In this article, we’ll guide you through 11 great tools to make this simple in WordPress, and close with some top tips for making the most of advertising as a strategy. Digital advertising is a marketing medium that has very much come of age. Despite mutterings about impending ad blocker-driven doom, the projected expenditure on online advertising for 2015 is expected to reach $170.5 billion. The range of advertising options has expanded considerably in recent years. Spend more than a few minutes browsing the web and you’re likely to hit a combination of text ads, banner ads, affiliate links, pop-up ads, video ads and much more besides. Ads have also gotten smarter; the amount of data available to advertisers has exploded exponentially. Tools such as Adwords and Facebook for Business put a level of detail in front of modern advertisers that businesses would have killed for even a decade ago. Throw in options like affiliate advertising through online giants such as Amazon and there is an option there to be taken advantage of for even the smallest of sites. The good news for WordPress site owners is that the platform makes it incredibly easy to integrate many of those options via plugins. Let’s turn our attention to 11 of the best tools for taking care of business on your sites. If you simply want to get some ads up and running on your website, it doesn’t get any simpler than this plugin. 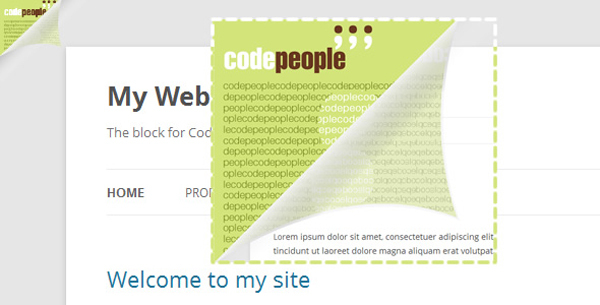 All you have to do is drop the ad code in, place your widget in your sidebar, and you’re good to go. The plugin also supports a solid range of standard ad formats. AdRotate is available as a free plugin with a premium version also on offer (pricing starts at €29 per website). While keeping things simple is a good policy generally, sometimes you just need a plugin that goes the extra mile, and AdRotate delivers in that regard. The plugin enables you to insert pre-made ads wherever you want in your site, create your own from scratch, keep track of their performance, and it is compatible with most ad platforms. You’ll also find comprehensive user documentation and a lively user forum available on their main site. Compatible with Google Adsense, Doubleclick, Chitika, JuiceAds and many other platforms. While the developers behind this plugin many not have chosen the most reassuring name for it, their efforts are otherwise bang on target. Ad Injection simply enables you to integrate advertisements within the body of your posts. It’s an option that could be considered slightly invasive depending on how you go about it, so you’ll want to keep an eye on overall user experience with this one. Ads can be positioned above, below, and at the side of your content. There’s also a “random location” option. Much like Ad Injection, you can choose to display contextual ads – making it especially well suited for AdSense and Amazon – or just place them in any other position you choose. 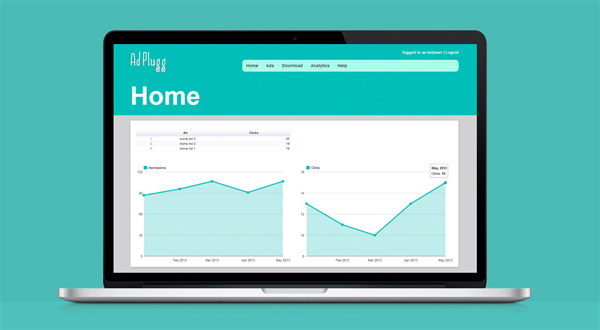 The AdPlugg WordPress Plugin is the official plugin of the AdPlugg advertising platform, which offers free and premium ($10 per month base fee) plans for using their services. It’s a solution designed to play nice with most content management systems and blogging platforms from WordPress to Joomla. The AdPlugg service offers a solid set of advertisement management features such as ad rotation for split testing, in-depth analytics, scheduling, and a simple shortcode to pop ads in wherever you like if you’re handling things manually. 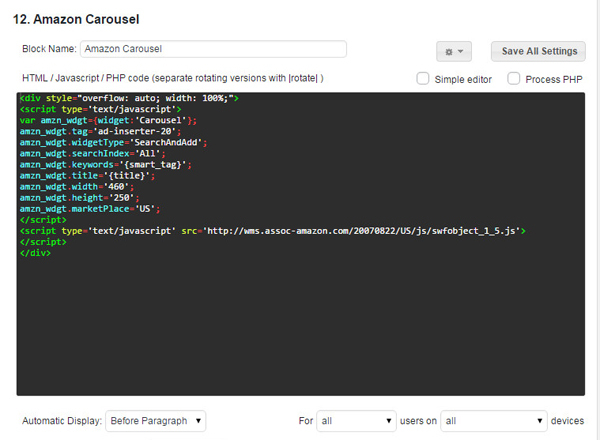 You can insert ads to your posts, pages or widgets via shortcode and have options for controlling sort order. A full range of ad formats (including video) is supported and a handy series of video tutorials is also available to guide you through usage. Corner Ad comes in both free and premium ($25) versions and gives you an unobtrusive option for displaying ads in the corner of your pages. It’s a particularly useful way of advertising your own wares as it won’t detract too much from your site’s overall look and feel but still leaves the door open for monetization. With the Meks Easy Ads Widget plugin you can insert ads directly into widgets for easier placement control. It’s a straightforward implementation that also enables you to customize the size of the ads – or use predetermined dimensions – which makes it perfect for displaying multiple small ads on a single page. As the name implies, this ambitious plugin does much of what our other selections do, but also includes a plethora of advanced features that enable you to fine tune what kind of advertisements your visitors see. Enables you to customize which ads are displayed to visitors using criteria such as which type of device they’re using, location, whether they’re logged in or out, and their browser type. A full range of payment options are supported incuding Paypal, PayFast, Authorize.net, and 2Checkout. Our final option, Amazon Link enables you to tap into the power of the Amazon marketplace by targeting Amazon Affiliate commissions. 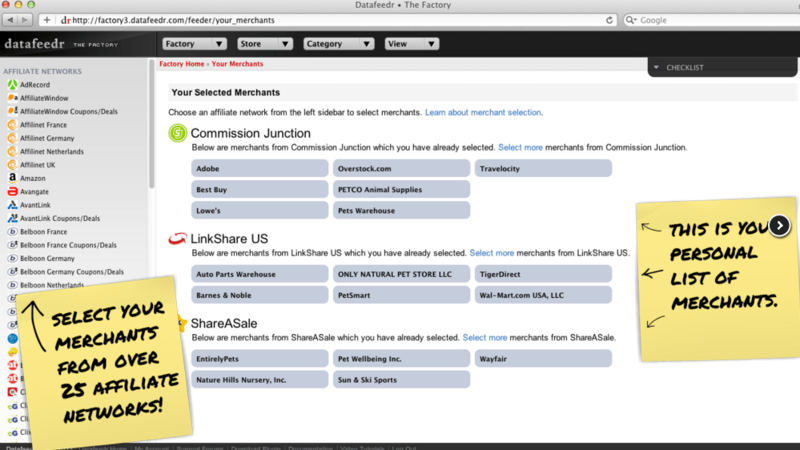 It gives you the ability to insert product links into your posts. These can be simple text links, images or full-sized widgets. Each and every one of these is linked to your Amazon Affiliate ID, thereby earning you commissions for any sales made through them. While not a traditional advertisement solution, this kind of option is especially well-suited for authority or review sites that deal with a lot of products. Hopefully the range of useful tools we’ve outlined above has you chomping at the bit to start integrating advertising with your site. But before you get down to business, let’s step through a few general tips to keep in mind to make sure you’re maximising your chances of success. When it comes to ads, less is often more. Resist the temptation to plaster your site with ads to maximize potential income. Single, well-targeted ads are likely to perform better than a plethora of random options. Users are increasingly turning their back on obtrusive advertising as evidenced by falling clickthrough rates and the rise of ad blockers. As an advertiser and/or site owner, you’re looking to find that sweet spot that will make you some profit while not unnecessarily antagonizing your audience. That means that excessive pop-ups, audio ads and flashing banners are almost certainly a no-no. With mobile increasingly overtaking desktop use, you stand to lose a lot of revenue if your ads aren’t optimized for all devices. Your aim should be to display fewer ads on smaller screens and get them to show in reasonable sizes. Digiday recently put together a great piece on publishers who’ve gotten mobile ads right if you’re looking for further inspiration. This one may be out of your control if you’re not actually designing the ads in question, but a well-crafted call to action is often the difference between success and failure. The Manpacks example we’ve highlighted below shows the difference a little extra thought and effort in this department can make. A lot of publishing platforms take care of this step for you by analyzing keywords in your website to deliver the most relevant ads for your audience, but their systems are far from foolproof. If you’re managing things yourself, you’ll naturally have more fine-grained control. In both cases, however, you’ll need to actively monitor the performance and content of your ads to be sure they’re really delivering value to both you and your audience. Lifehacker is a good example of a site that gets this right across a huge range of content. Their massive audience flocks to the site for daily tech and productivity tips and are well served by the mix of standard ads and promoted content that the site deploys. On a more stripped down level, John Gruber’s Daring Fireball is an excellent example of the difference a highly curated approach can make if the audience is niche enough to justify it. Going through an established publisher or platform like AdSense can make a lot of sense as ad inventory is large and they do most of the heavy lifting for you in terms of delivery. If you’re running a site with some serious traffic, however, you can almost always get a better deal by arranging things directly with an interested party. If you’re not sure whether your website is at this stage yet, just run a small test. Keep your regular ads in place, but mention you’re open to receiving offers from people who want to buy ad space on your site. With enough traffic, the offers will come. One WordPress enthusiast running a niche blog about style tips for shorter men recently shared his experience growing his audience and income using direct ads. If this is a road you’re considering going down, MonetizePros’ Ultimate Guide to Ad Sales is well worth a read. One of the things that separates pro marketers from the herd is whether they test their campaigns on an ongoing basis or simply wing it. If you’ve dealt with ads before, you’ll know they’re fickle creatures. Switching the location of a banner from one side to the other, changing a few words, tweaking some colors; all of these things have the potential to make or break a campaign. The only way you’ll find out what really works is through constant testing and analysis. Many of the plugins we’ve listed above have options for ad rotation and split testing. Tie these into proper analytics relating to impressions and clicks and you have more than enough info to know when you’ve got a winner on your hands. Split-testing warrants an article all of its own, but if you want to read an in-depth primer right away, head on over to Split Testing 101: A Crash Course in Optimization. Online advertising is a complex field and changing every day, so making the most of your time is crucial to stay on top of things. Anything that saves you time and effort in terms of implementation will pay off handsomely down the line. The range of WordPress advertising plugins we’ve covered should have something for site owners of all types. Pick the solution that best matches your use case, use our top tips to steer by, and you could be seeing the money roll in within days. All the solutions we’ve covered will enable you to have ads running on a site within a matter of minutes in order to start collecting data and seeing what works best for you. We’d love to hear how you’re getting on with your own advertising. Is there a particular plugin or platform that’s worked for you? Let us know in the comments! this is such a great article 🙂 nice info ! Thanks Tom. I’ve been looking for ad plugins to help my clients use their blogs more effectively to get leads. An in-content or side-bar ad that draws attention to your product or service relating to the post topic can be an effective lead generator on a popular post. A suggestion: WP In Post Ads – MyThemeShop.